We’re pretty excited to be carrying Nomads, a line of Eco Clothing featuring sustainable fabrics, like hemp, bamboo, soy, and organic cotton. Not only are these alternative materials a great environmental alternative to standard cotton, but they’re also comfortable to wear and easy to wash. In this week’s blog you’ll see not just one, but two ways you can wear this incredibly versatile brand – styled entirely by our very own Salisbury fashion boutique. One of our favourite things about Nomads’ style is the detail that goes into each piece. That little extra touch brings visual interest to each outfit without overwhelming the look. It may be comfort wear, but it is anything but basic. Bringing style and comfort and style together is nothing short of a miracle. 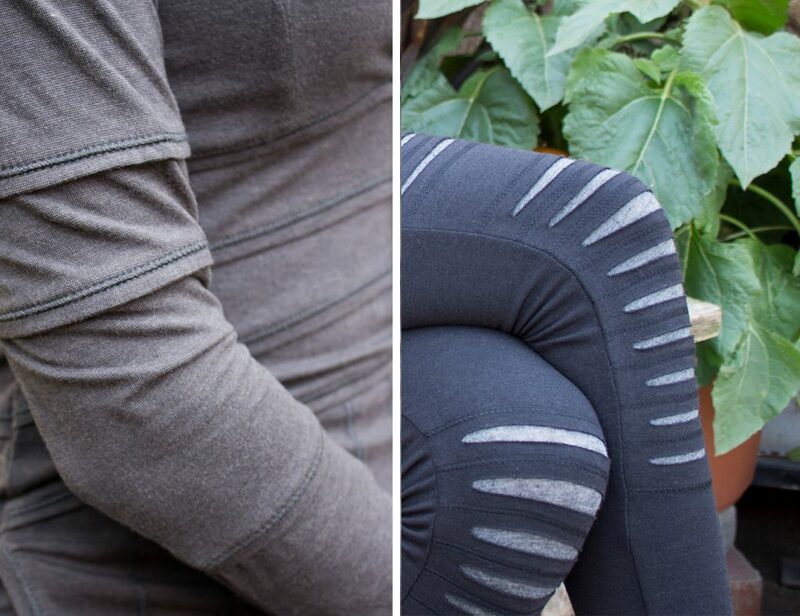 Nomads’ Slayer leggings make it easy to add a little texture to an outfit, even when you’re on the go. 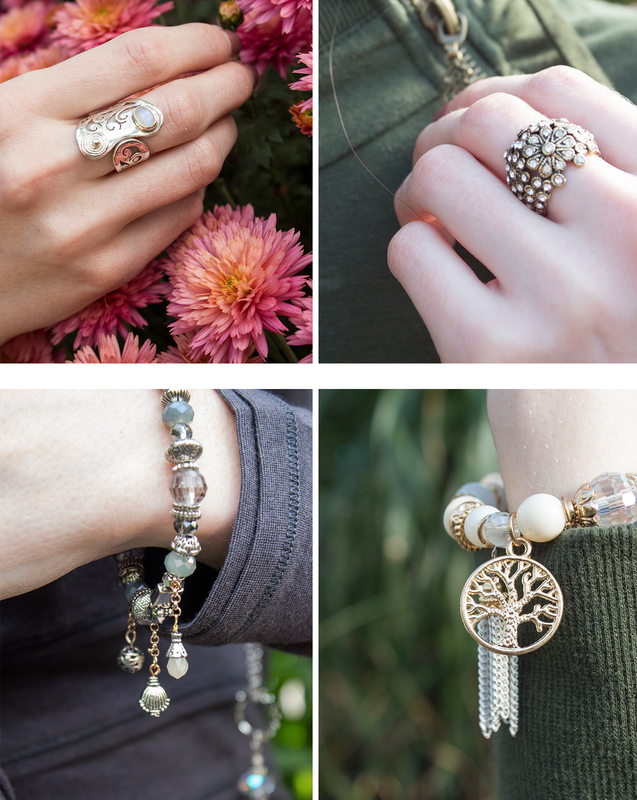 While these pieces look great on their own, no embellishments required, we can never resist the urge to throw on a little extra bling! Nomad’s grey Inspire dress is a perfect backdrop for cool silver tones, while their green Surrender tunic pairs well with warm warm gold and brass hues. Long necklaces featuring lava stone are not only stylish, but they can even be infused with essential oils to keep you breathing your favourite aroma all day long. A handbag is usually the last item put on before walking out the door, but it can influence the aesthetic of our look dramatically. 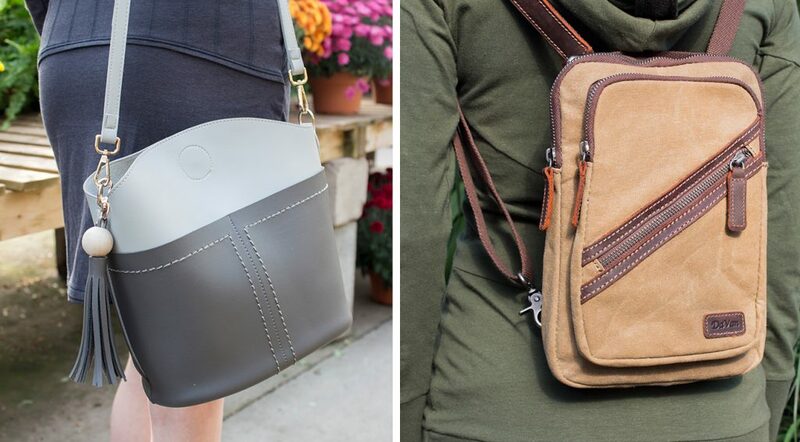 A sleek, minimal purse wears much different than a casual, leather backpack. At the end of the day, though, it’s all about what feels most comfortable to you. If showing off a little personality is your style, our Chala bags will be your perfect fit. 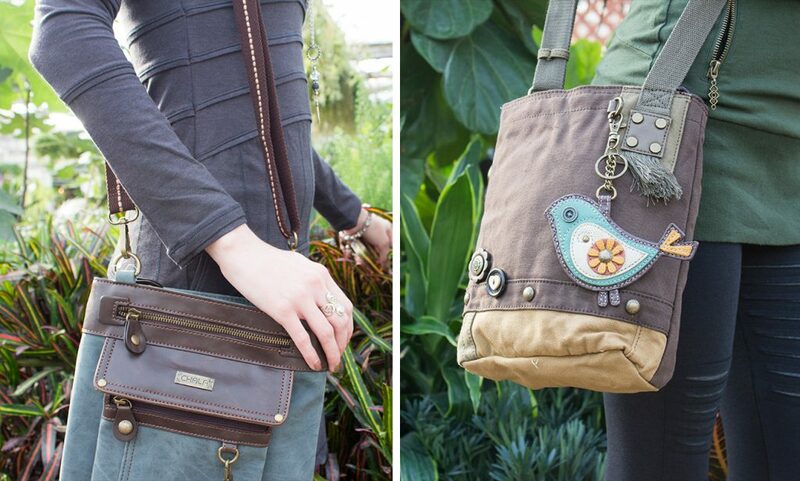 Each bag is designed to feature a keyring or trinket to make customizing your look simple. 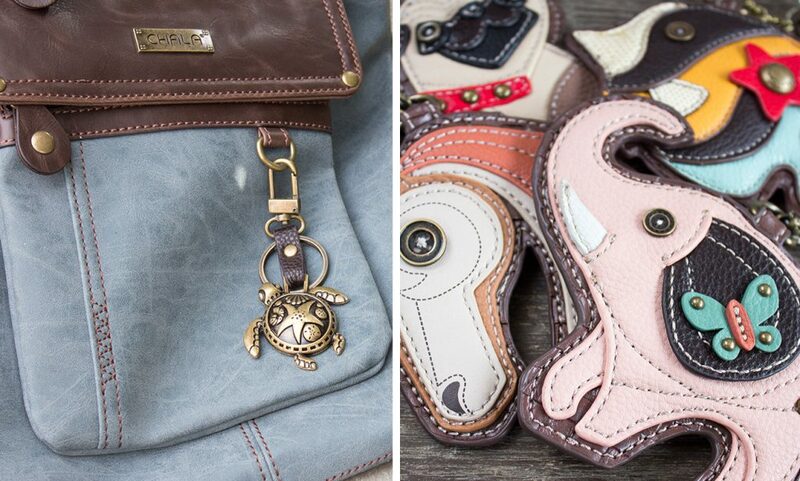 You can choose from their selection of animal-themed coin purses or swap it out for something you already own. These bags are sturdy and well made, making them a reliable daily option. No matter how you choose to style your look, Nomads makes it easy. With these chic, eco-friendly choices, you won’t just look good. You’ll feel good! Who said style couldn’t be comfortable?